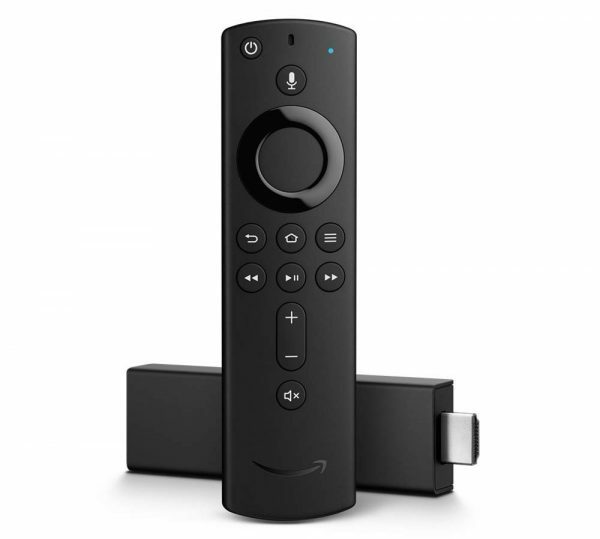 Amazon has updated their Fire TV Stick to support 4k, HDR (using HDR10+ & Dolby Vision) and Dolby Atmos audio, as well as other key improvements for the 3rd-generation model. The new device can be pre-ordered for release on Oct. 31 and is priced competitively at $49.99 — just $10 more than Roku’s upgraded Premiere model with 4k. What else has been upgraded on Fire TV Stick? Amazon has added the new Alexa Voice Remote to the device’s accessories (see more details below), improved the Wi-Fi antenna design to be optimized for 4k, and increased the processor speed to Quad-core 1.7 GHz from 1.3 GHz. Storage stays the same, but RAM memory has been slightly increased to 1.5GB (from 1GB) and upgraded to DDR4 type. The new Fire TV Stick is also selling in a bundle with a new Echo Dot and Alexa Voice Control for $99. Amazon is taking pre-orders for $79, a savings of $20 off the list price of $99. The new Alexa Voice Remote has been upgraded with power, volume, and mute buttons that can control certain TVs, sound bars and receivers, and of course Alexa voice control. The new remote has 9 buttons (10 if count the combined volume up/volume down button) as compared to the previous model’s 7 buttons. The layout of the buttons is more vertical, extending closer to the bottom of the remote. And, instead of the full Amazon logo at the base of the remote the “smile” graphic has been enlarged and painted in glossy black. The new remote also releases on Oct. 31. Amazon often runs out of initial stock of new devices, so it’s a good idea to get your orders in to ensure shipping upon release date.